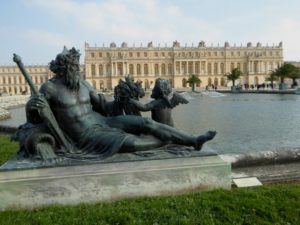 The history of Versailles is inextricably linked with Louis VIV, although there had been a residence there for centuries before he ascended the throne. As Dauphin, Louis XIV had loved to hunt in the forests surrounding the small chateau that his father Louis XIII had rebuilt from the original brick and stone hunting lodge. These works were ongoing until 1634, which laid the basis for the chateau we know today. 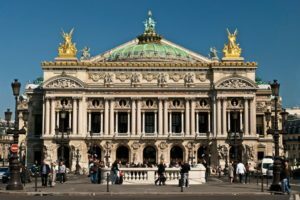 The season’s opening on 27 September this year marked the 350th anniversary of the Paris Opéra Ballet. Over the next 16 months, there will be ample opportunity for Champagne-popping as it celebrates its founding by Louis XlV on 28 June 1669. 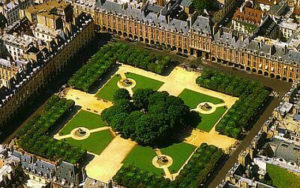 One of the best-loved outdoor spaces where Parisians like to hang out at any time of year is the elegant Place des Vosges, in the heart of the famous Marais district. It’s also one of our favourite places, and has come to express for us the changing seasonal character of the city. An exciting new venue for the arts opened in Paris in mid April 2018. Located in the former Plichon cast-iron foundry built in 1835, it has over 3,000 sq. metres of surface area and walls up to 10 metres high. It took two years to prepare the building for its new life as the city’s most innovative space for presenting art, using all the techniques of the digital revolution. Everyone visiting Paris heads to the Ile de la Cité, the large island in the middle of the river Seine, to visit Notre Dame Cathedral. 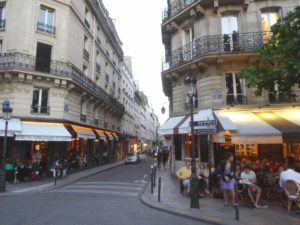 However, the smaller of the two islands, Ile Saint-Louis, can easily be overlooked. It has retained its 17th century charm, most of its magnificent historic buildings, and its medieval streets.